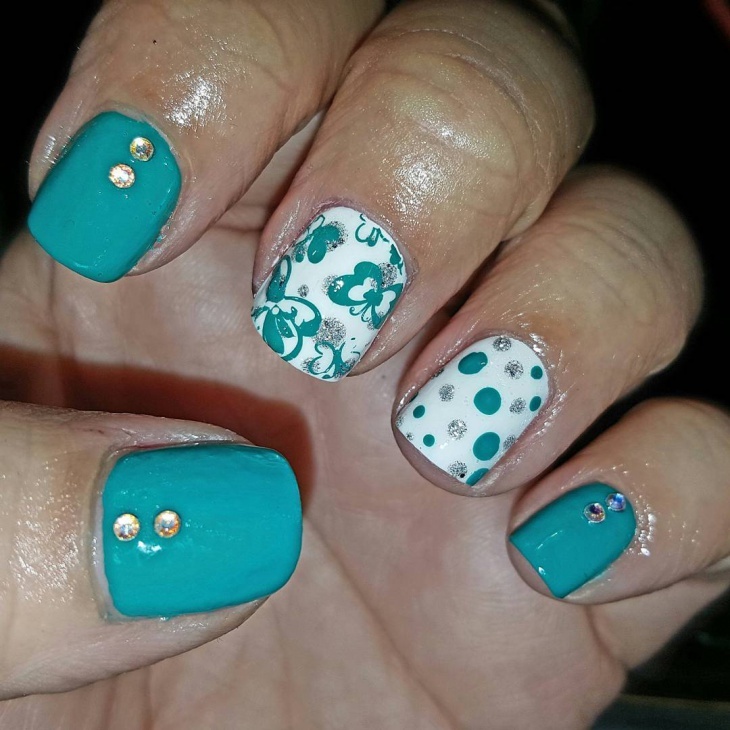 Nail art designs come in different form and designs. We, women, like experimenting with different designs all the time so we need new things to get ideas. 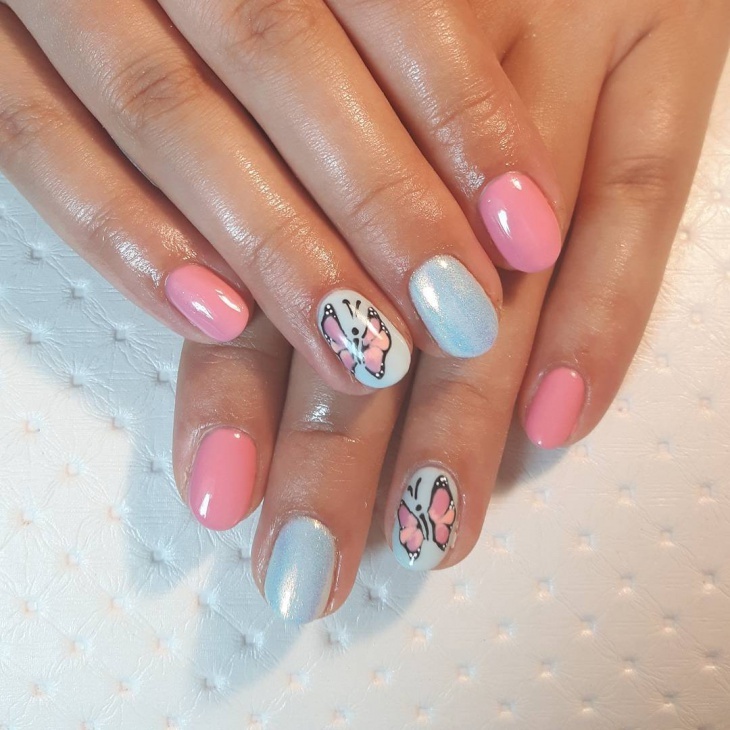 While sitting and thinking of a new nail art design, a butterfly flew past us and that is when we thought of the butterfly theme. 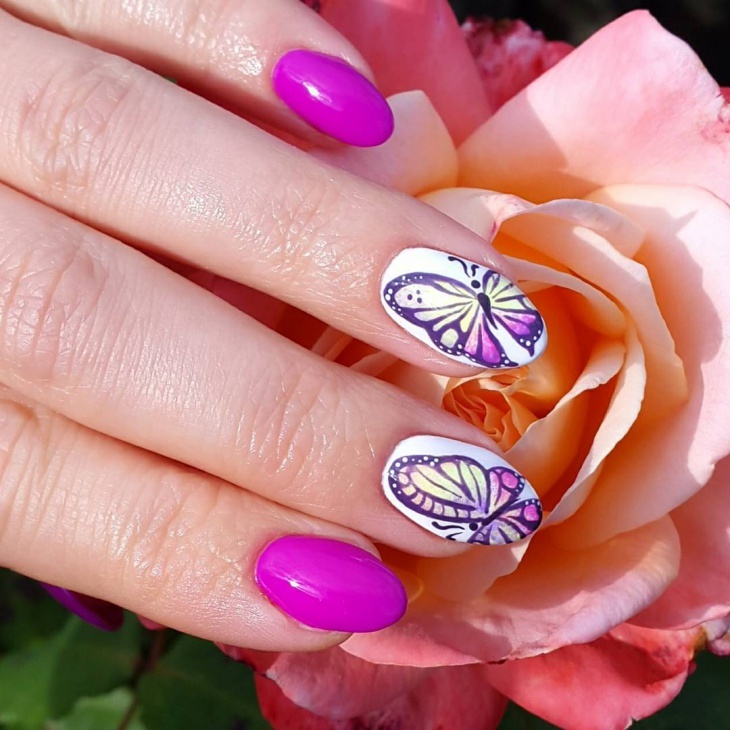 We raided social media to find some interesting butterfly nail art designs and you surely won’t be disappointed after this. 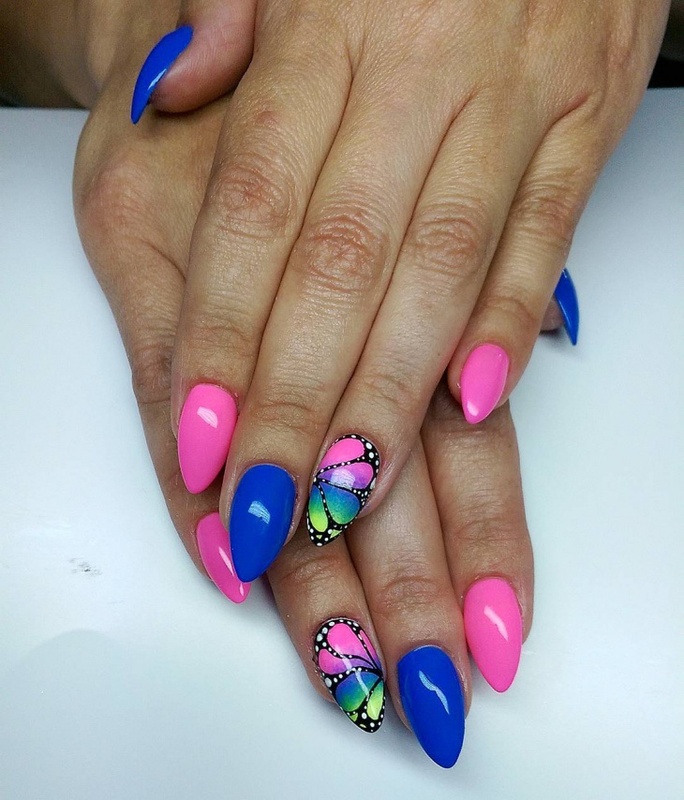 These are colorful, bright and very well designed nail arts. Be it a party or just a casual event, these designs will help with the complete attire. This animal print nail is bright and colorful. 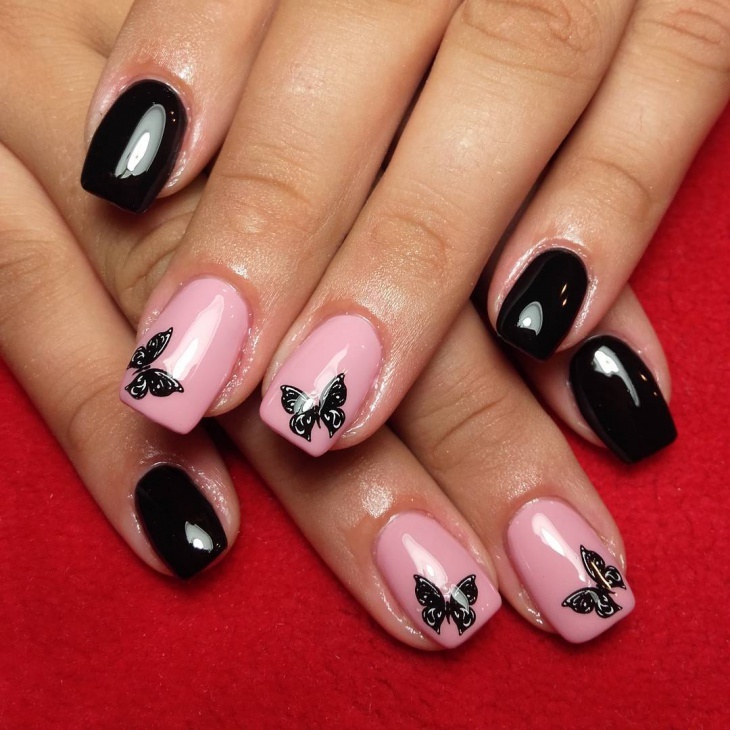 The wings of the butterfly are used to make this design look pretty. 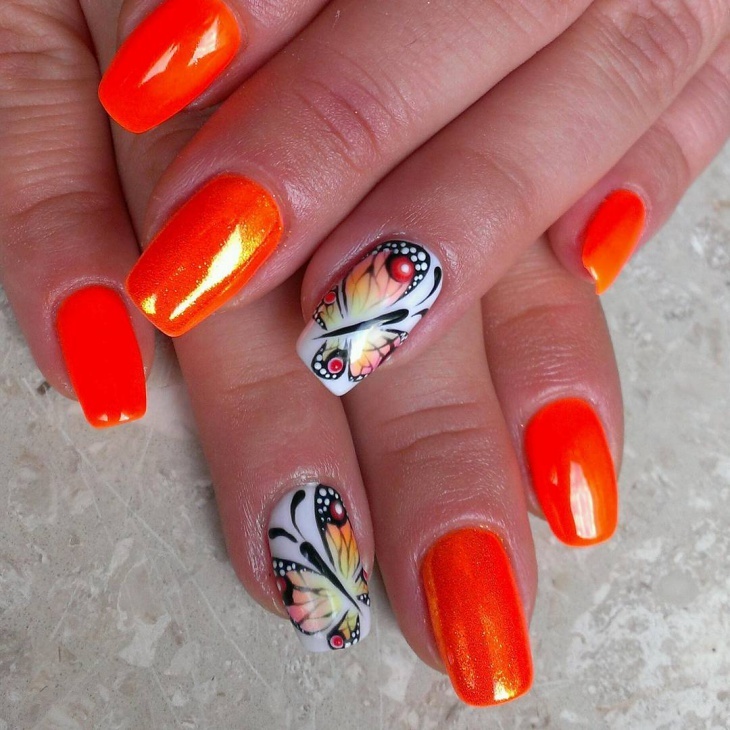 We have seen so many orange and yellow colored butterflies and this nail art represents exactly that. 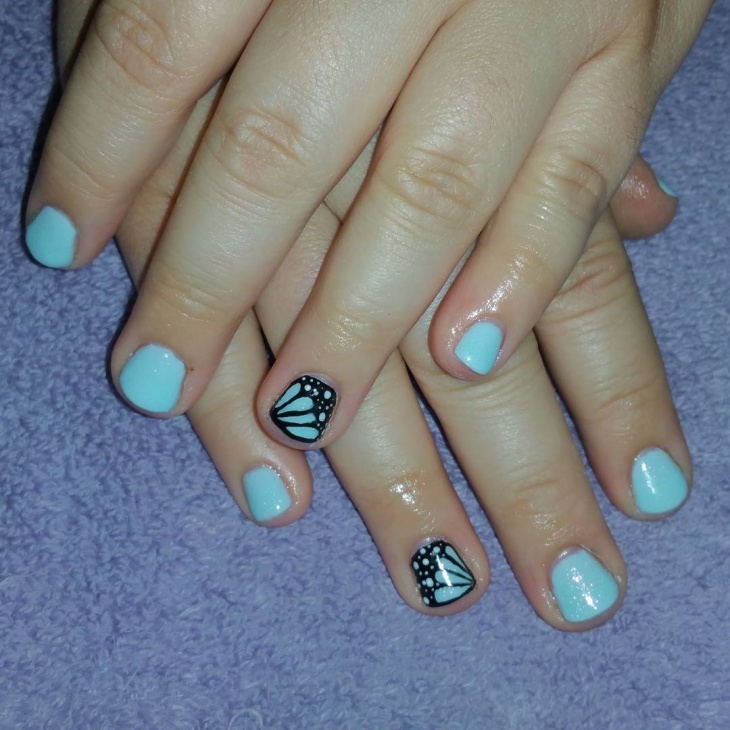 This color combination has always been good and on the nails, with the black outline, it looks even prettier. 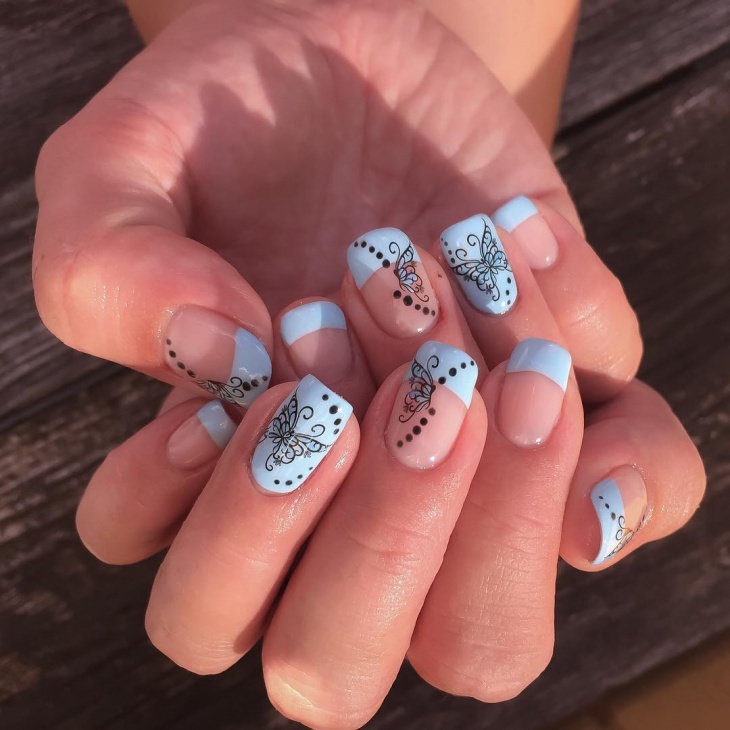 These are the perfect summer nails. 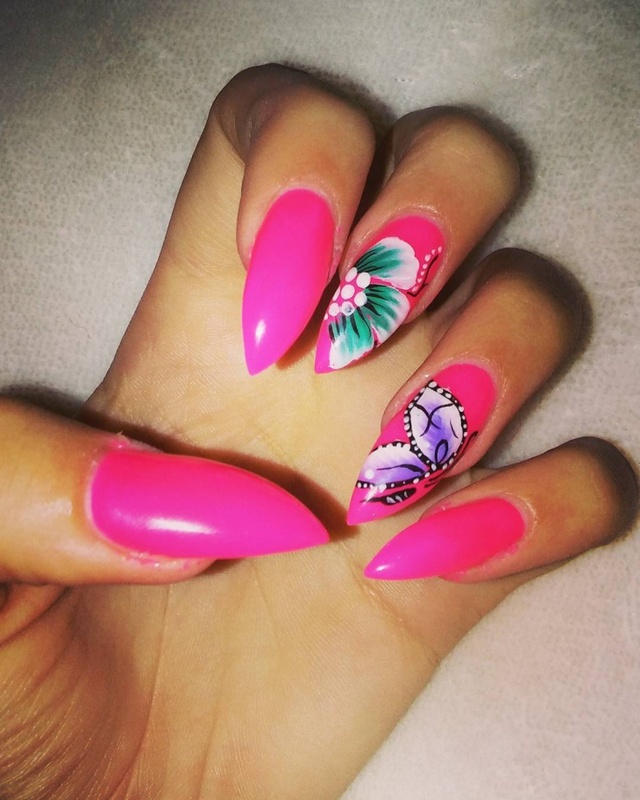 Perfectly shaped and maintained nails also deserve the perfect nail art design. These might look like bright but that is what is trending these days. 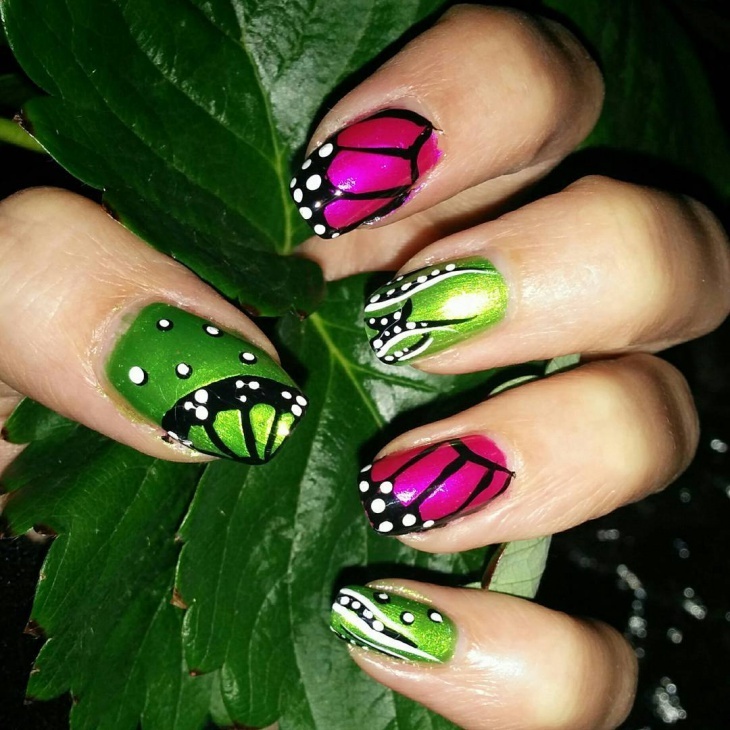 To make it look grander, the half butterfly drawn on each nail is gorgeous. The colours on the butterfly wings have been well thought off and executed especially with the nice florescent shade. 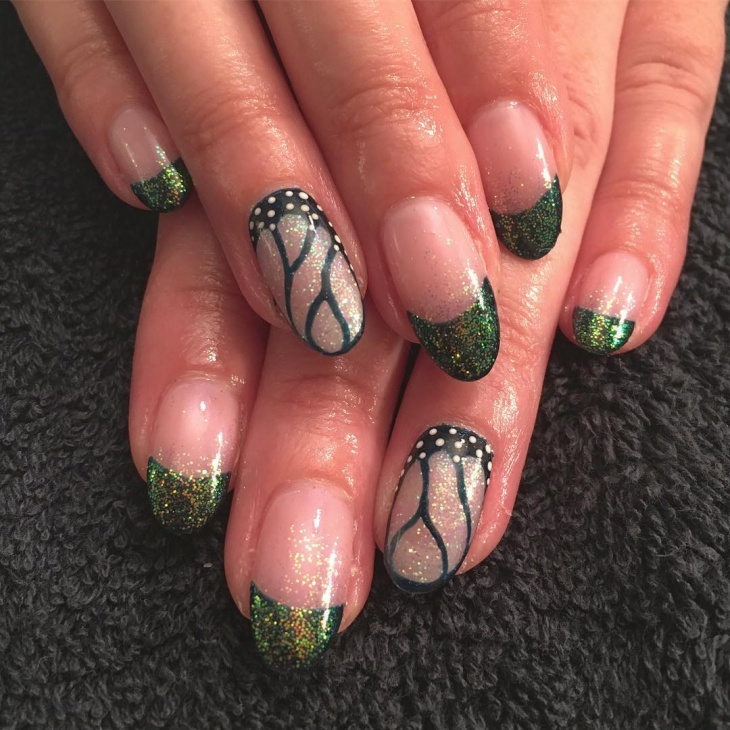 Acrylic nail designs add a special glow to your nails. They make your nails look more glamorous. 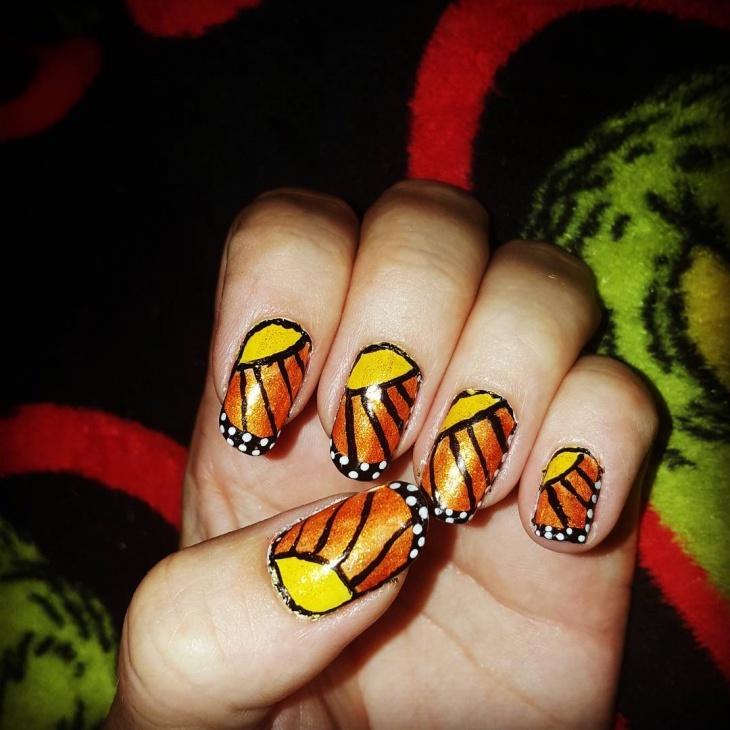 This nail design is a combination of orange and white. 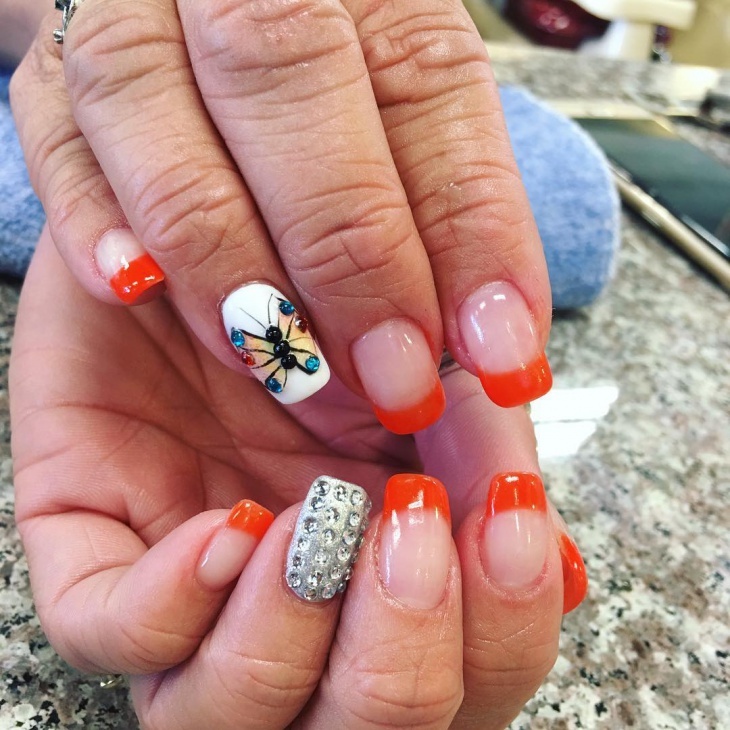 Orange has to be a bright because that’s what makes the nails stand out more and on the white a cute little butterfly is painted. The butterfly is drawn out beautifully and gracefully. 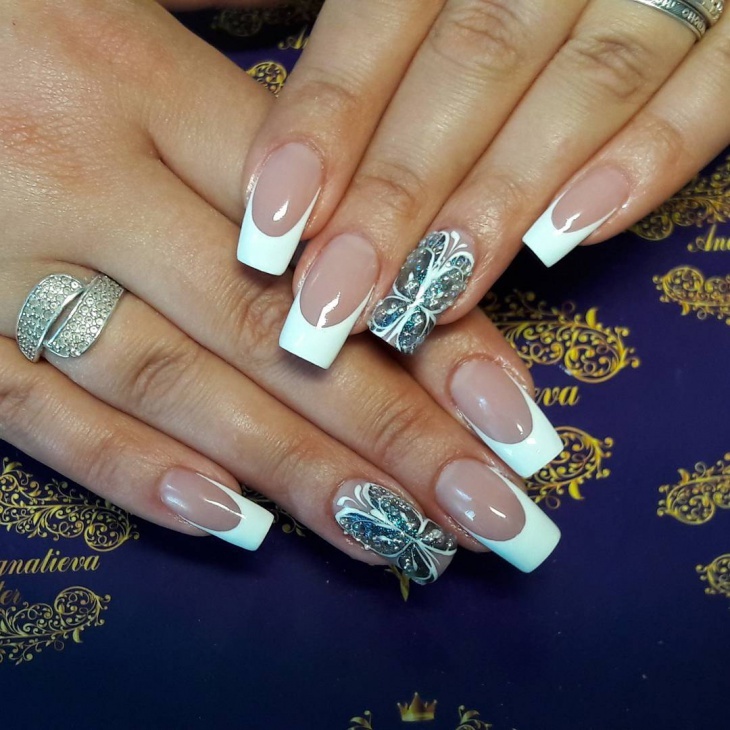 This design looks elegant because of the French tip nail design. 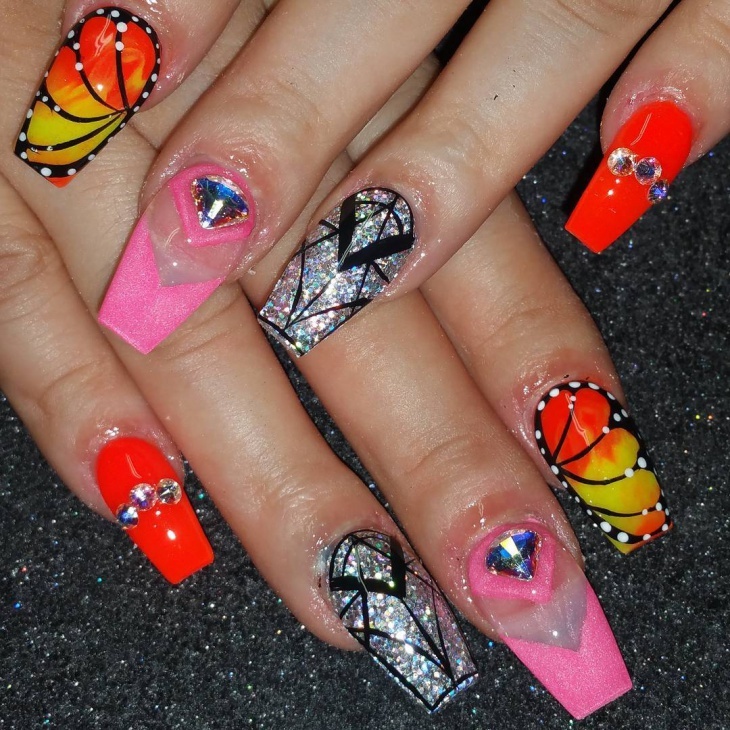 The butterfly done on is made out of rhinestones and looks absolutely classy. This design will make you look chic and like a complete fashionista. Try this design when you have a special occasion to attend. Here dark colors have been used but they don’t seem very bright or loud. They look classy and elegant instead. 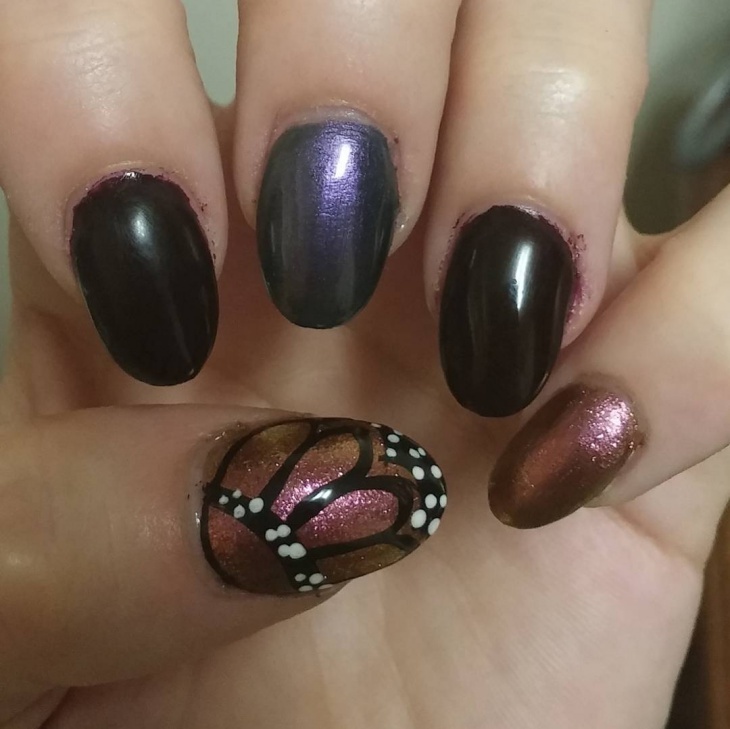 The butterfly nail design is simple and not completely out of the box but what we love most is the combination of black, purple and brown. This has to be the perfect nail design. It has rhinestones to grab attention, loud colors to make it stand out and glitter to make it sparkle. Overall this looks glamorous and completely out of the box. If you like to stay different this is the perfect design for you. This is quite a simple design from what we have seen. The subtlety is what makes it look so nice. The silver glitter stands out and the butterfly design on it is wonderfully drawn with the perfect colours. Overall everything blends in perfectly. Rhinestones to define the butterfly is another design we love. It makes the overall nail art look magnificent. Cartoon nail art is quite similar to this and what makes it look even better is the orange on the fingertips. 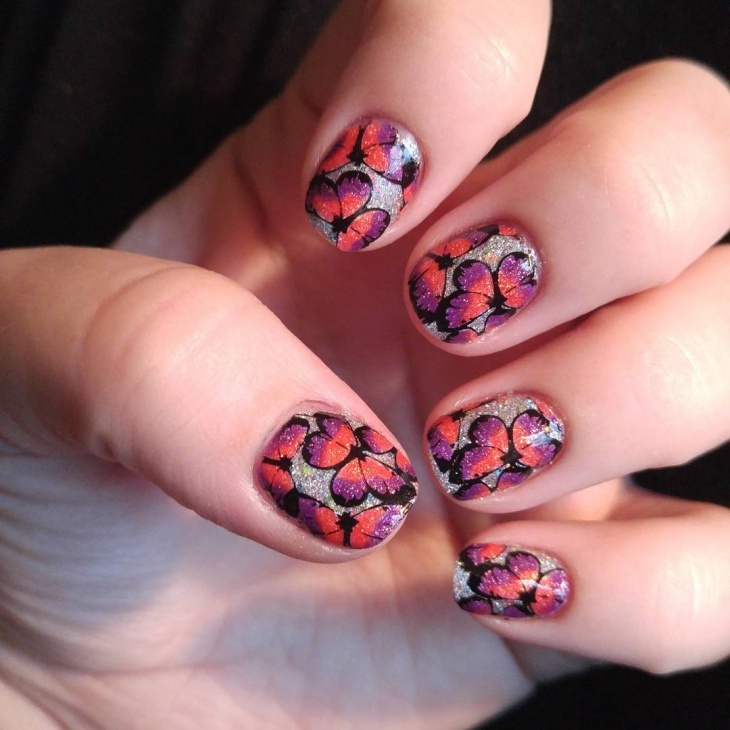 Butterflies and slight shimmer are what this design is all about. For people with short nails, this will look delightful on you. It can be worn on an everyday basis and people will not stop looking at you. The colors used are very classy indeed. 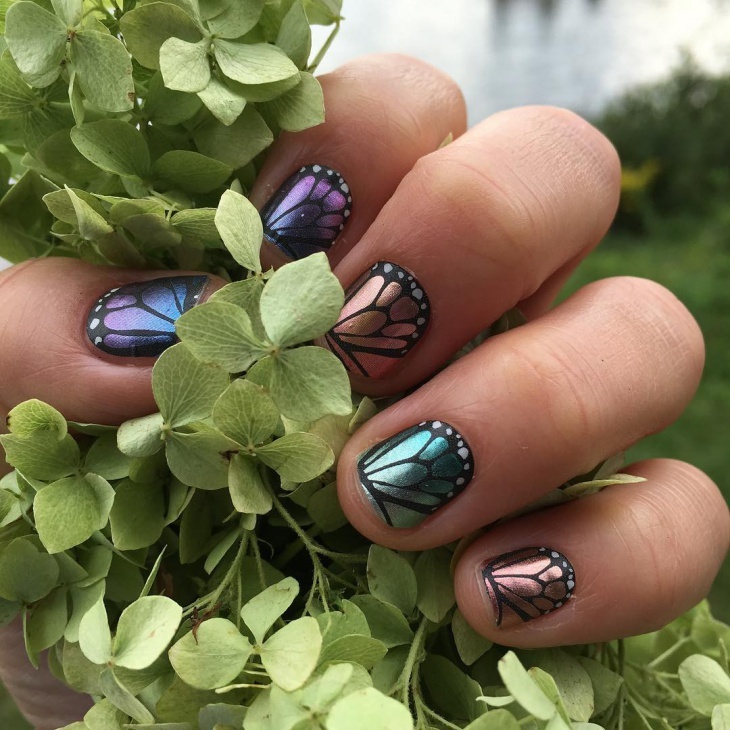 These were some alluring butterfly nail art designs. This is a must try with so many varied options. Each has a mix of classiness, cuteness and exquisiteness. What makes it the best is the butterfly concept in itself because they are beautiful and we have all admired them at some point.